"I was working on setting up a new lab for my organization and had to order some lab specific items and I was happy I choose Livingstone. I managed to find and order >50 different items on their website and navigating through the site was easy and important details like pricing, stock-availability as well as delivery lead time were displayed to allow quick decisions to be made on the spot. On top of that, there were so many variants of lab related items available to choose from. The best part of the whole experience (for me) was that after my order was placed, I got a follow up phone call from Livingstone's customer facing representative that made it a point to connect with customers directly and she quickly verified my order placed and assured me that she will be following up with the order till delivery while making sure all my purchasing needs were met. This approach of building good customer relationship is vital and makes customers like me, feel more at ease. She has been updating me on my purchase delivery status from time to time too. So talk about end-to-end service, Livingstone surely delivers on that. 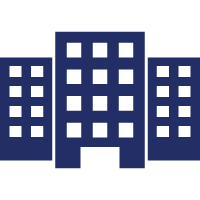 “Our hospital group saved about $400,000 entering into a supply consolidation agreement with Livingstone. Their product range is quite extensive and they can also supply 3rd party brands. 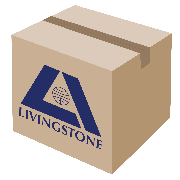 Instead of having to buy from 20 vendors, which is an administrative nightmare, Livingstone is now our sole supplier. We are very pleased with the cost savings and the prompt service they provide."